What makes a subject easy and what makes it difficult? A lot of students usually find mathematics to be a tough subject. Is it really so difficult or are we making it harder than it should be? This piece is probably the result of my consternation at the appalling state of the study of such an important science in the state of Nagaland. Study of science in general is itself not popular here as can be inferred from the fact that out of 54 colleges in the state, only 7 offer science courses. Among all the sciences, I found Maths to be least preferred, with only a handful of students at the degree level. The pass percentage at the higher secondary level hovers around 53,probably with a liberal dose of moderation. No college offers PG degree in Maths in Nagaland. One wonders where all the thousands of arts graduates would find employment in or outside the state. C.F Gauss, a renowned mathematician, referred to Maths as the Queen of Sciences. It is a powerful tool in many fields like engineering, natural sciences, economics, medicine, commerce, etc. 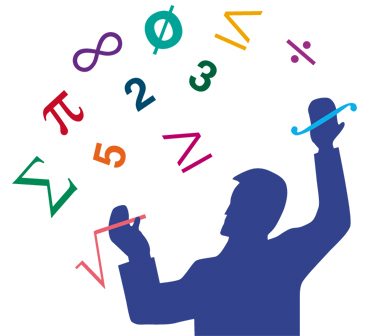 Applied Mathematics has led to the discovery of new disciplines such as game theory and statistics. Maths when studied for its own sake is called Pure Maths, which is a science with fast expanding horizons: so fast that securing a doctorate is more difficult than climbing Mount Everest, requiring one to be abreast of the latest research on the selected subject, failing which one’s work would have been pre-empted by someone else! Pure Maths, however, is not purely in the realm of the grey cells. Many theories of pure Maths have later found surprisingly useful applications in other fields, including mundane life. Thus Maths is one of the most useful of all sciences, without which other sciences cannot progress and develop. I know of schools in interior places where all subjects are taught by the same teacher! Often his presence is indicated only by his absence. I was told (cannot confirm this of course) that in some cases the appointed teacher does not teach; he entrusts the work to another for a lesser salary! Infrastructure like safe classrooms, clean toilets, etc. is woefully absent. Some private schools appear to run more on commercial lines than as centres of learning. The policy makers seem to have forgotten that without a solid foundation laid at the primary and high school levels, Maths at the higher levels becomes a nightmare for the students, as it indeed has. Study of Maths, unlike other arts subjects, is like construction of a building. The brickwork can stand only on a solid foundation. Every brick is placed on the one below it. In fact, this lack of proper foundation is one of the major causes of the weakness and dread of the subject prevalent among Naga students. The quality of teachers at the primary and middle school levels is also a matter of concern. Qualified Maths teachers are hard to find. The accent in schools seems to be to finish the syllabus on time, often sacrificing detailed exposition of the subject. For some time, I used to tutor one class VII student from a very expensive school in Dimapur, who was very weak in Maths. One day he made a stunning statement: he said that his school teacher only gives the answers-he does not explain anything!! I may add that the boy did not know how to add / subtract positive and negative numbers! There seems to be another atrocious practice in some schools, as gathered from one student. Upto class X, students are promoted to the next class even if they fail in one subject. Usually they take advantage of this and totally ignore Maths, the dreaded subject. Thus, they reach class X without having the faintest idea of Maths! Helplessly, they then run around looking for tuition, that too at the end of the academic year. What can the tuition master do? Lastly, in many schools either Maths or Biology are offered as the main subject at higher secondary level alongwith Physics and Chemistry, which are compulsory for science stream. Most of the students choose Biology ,with Maths as the sixth subject. This means that even if a student fails in Maths, he/ she will pass the Board examination if he/she passes in other subjects! With such a lopsided policy, students do not take the subject seriously, particularly when the normal mindset of an average Naga student seems to be to just secure a pass in the exams. To my mind, this policy is one of the root causes of the apathy towards Maths.Yes-importance of Maths is confined to speeches. If all the aforesaid factors are corrected by urgent measures and policy changes, there is no reason why Naga students cannot do well at Maths at least till class 12 level. Let us not create Maths phobia in young minds and teachers should aim to make the study of the subject as interesting as possible. Terms like ‘discaculia’ should be erased from the psyche of the children, parents and teachers.Applied Maths can offer a variety of job opportunities and enhance the employability of graduates. This would greatly help the unemployment problem of the state. Let us hope that policy makers wake up to this reality and initiate necessary measures to streamline and promote study of Maths in Nagaland.